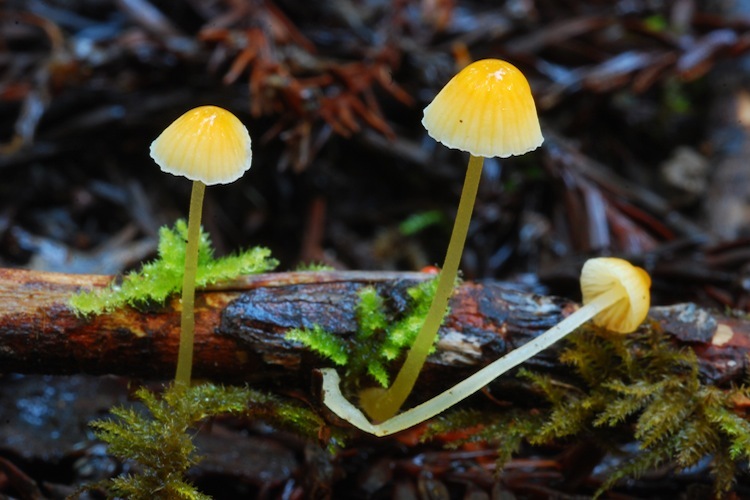 Atheniella are visually quite similar to Mycena, despite being only distantly related. The two genera share the same typically tall, slender, fragile fruitbodies with round-conical caps. However, Atheniella spores and tissues are inamyloid in Melzer's reagent, whereas those of Mycena show a blue-gray (amyloid) reaction. 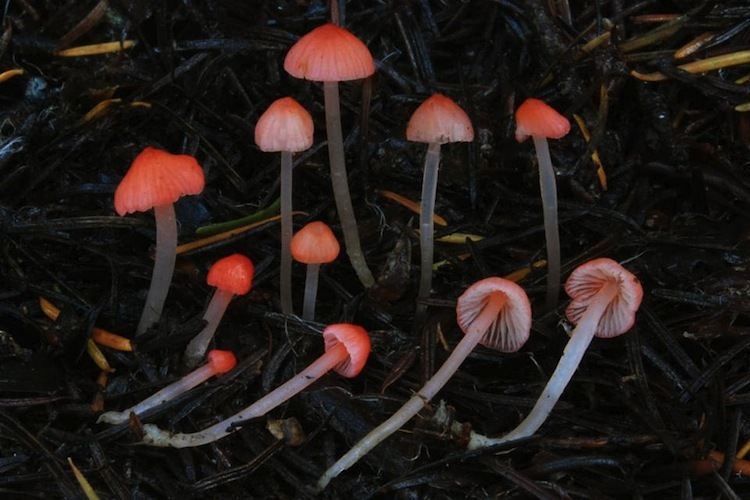 Atheniella are saprobic, typically growing in coniferous duff in dark, moist microclimates. Only a few species are found in our area, and identification is fairly straightforward. Important identification characters are entirely color and substrate-related (some species prefer twigs and others needles).